Giraffe the animal which is known for long neck and long legs. The scientific name for the giraffe is giraffe Camelopardalis, first part comes from Arabic word Zarafa which can be translated to “fast walker”(giraffe are so tall that they stroll at a brisk 10 mph).the species name, camelopard, derives from the Greek terms for camel and leopard. Many different activities will take place on World Giraffe Day including special keeper talks, a giraffe feeding, giraffe crafts, and a tour of the giraffe barn. All proceeds from this day will be donated to the Giraffe Conservation Foundation Some things you need to know about Giraffe. 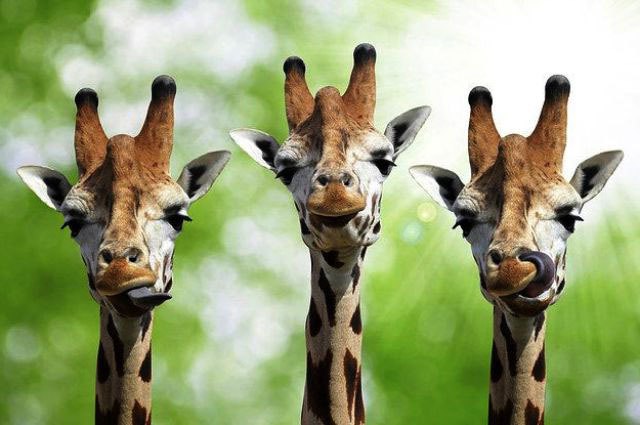 Did you know that a group of the giraffe is called a tower? Did you know a giraffe’s heart has to generate almost double the normal blood pressure of other animals to maintain blood flow to the brain against gravity? Did you know giraffe have a complex pressure-regulation system called the rate miracle that prevents excessive blood flow to the brain when lowering its head to drink? Did you know giraffe have air conditioner skin to deal with the heat? world Giraffe Day is an initiative of GCF and the celebrations are joined by zoos, schools, NGOs, governments, institutions and conservation organizations around the world join by hosting events on 21 June to raise awareness and support for the giraffe in the wild. Check out who is celebrating and supporting World Giraffe Day.